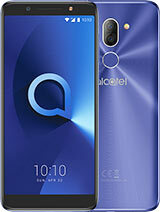 I've had my Alcatel OT-E221 for seven years now, I got bought it for my tenth birthday and I loved it! When I was twelve I got bought a new phone, so I put my Alcatel back in the drawer and it stayed there until around a year ago when my IPhone broke... I don't care that it's not modern, it work rather well and the battery life is better than my old IPhone. If you want a cheap phone just for calling and texting, then I'd actually recommend it! I bought my red Alcatel OT-e221 in 2008 and still have it. 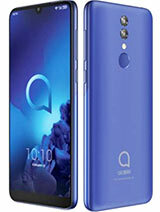 Although I am now using an iPhone as main mobile phone, Alcatel OT-e221 still works perfectly, I have never had any problem with it. 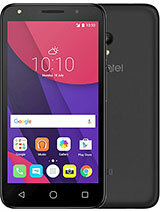 Alcatel OT-e221 is very easy to use, and I find it very nice, I like that it doesn't have the additional screen on the outside as many pliable mobiles have, it looks more original without&#128512;. What impresses me the most is that it has never ever stopped working, it seems to be everlasting. One last thing, it DOES have loudspeaker!!!! Shinobi, 22 Jan 2008However it does have a hidden 5mp camera. If you press 8,6,2,4 then the call button, a camera... moreI tried dialling 8624 but it just got me "the number that you are calling is not recognised." I bought this phone 1 week ago. i so like it very much. 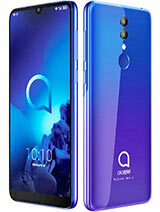 Alcatel phones especially cheap ones like this are pure CRAP.They are slow,went goes off by them self.I think the newer series are much better especially those after 2008. 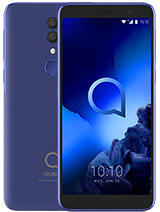 The best lesson from this page: Do not buy a phone made by Alcatel. I had a phone from the same company almost a decade ago and it was wonderful. That was when phones were just meant for texting and calling. But for now, oh please. Be realistic. This kind of gadget now only serves as a toy for Kindergarten. Help, 03 Jun 2008I have just bought an alcatel 0t-e221 phone and the problem that i am having is that it keeps ... moreTo the person that has a problem with the phone because it switch's it's self on at 0500 hrs in the morning. If you go to the nearest vigin moile store they will give you an other phone. They have to by law, and if you aren't completely satisfied with that take it to the shop where you bought it from and they should do something for you. Like swop it for another or exchange it for you. moshe, 12 Jun 2008Does anybody knows if there is hands free for this phone ? there is nothing in the kit.There is a hands free kit but you have to go to your nearest carfone warehouse store to get one. Does anybody knows if there is hands free for this phone ? there is nothing in the kit. it's a great phone..i just bought it and i like it a lot...it has cute game on it - bricks - i love it ! scrub that-my wife just found how to do it. Problem was I entered a number only and the phone wouldn't let me add a name later. Weird. Re the post requesting instructions for this phone. I have them but they are among the least helpful instructions I have ever seen, and I've used a lot of Japanese and Chinese gadgets. I tried to add a new contact in my SIM address book but could only enter a number without an accompanying name. If you still need the instructions, I could scan and send it to you. 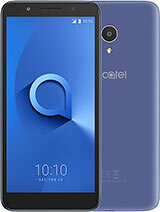 Total of 27 user reviews and opinions for alcatel OT-E221.